Congratulations to CASCI alumnus Dr. Ahmed Abdeen Hamed who was recognized by FastCompany magazine, among the most creative people in the world, in 2016, for his research publication entitled: Twitter K-H networks in action: Advancing biomedical literature for drug search.Dr. Hamed completed his Computer Science MS degree at Indiana University in May 2005 and joined our Complex Networks & Systems track of the PhD in Informatics in the Fall of 2008. For personal reasons, he finished his PhD at the University of Vermont, but started his research in biomedical text mining with the CASCI group. between information processing and statistical physics. […] The two are [also] beginning to work on understanding why different social groups develop different organizations, whether the group is a prehistoric tribe or a business firm.” More details on the SFI update newsletter. 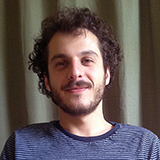 Congratulations to Luis Rocha, who has been awarded a Fulbright Scholarship devoted to developing Complex Systems methodologies for the Life Sciences. The 12-month sabbatical is to be pursued under the Fulbright program for educational exchanges between the United States and Portugal. It will focus on studying collective behavior and control in biochemical and social networks. The broader goal is to advance our ability to predict and control the dynamics of complex networks in three domain areas: biochemical, neurodyamic, and social systems. The scholarship will also be used to facilitate the design of a new doctoral program on complex networks and systems for the life sciences. Update: On March 21st, 2016 the paper described below (PMC4720984) was highlighted by Russ Altman from Stanford University in his yearly review as one of 30 important papers of the year in translational bioinformatics. Using complex networks analysis and social media mining, CNETS researchers from the CASCI team have found that Instagram, a growing social media platform among teens, can be used “to uncover drug-drug interactions (DDI) and adverse drug reactions (ADR).” The work shows that this popular social media service is “a very powerful source of data with great promise in the public-health domain”. 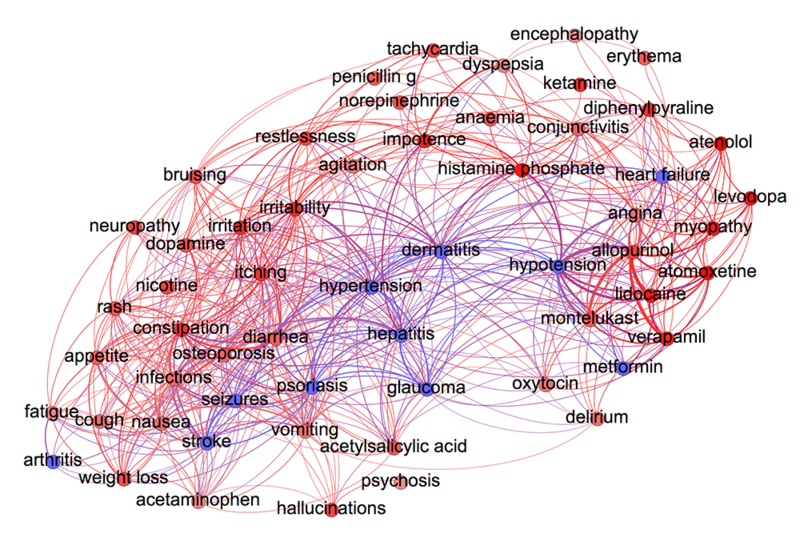 The study, “Monitoring Potential Drug Interactions and Reactions via Network Analysis of Instagram User Timelines,” supported by an R01 grant from the National Institutes of Health as well as a gift from Persistent Inc., was recently published and presented at the Pacific Symposium on Biocomputing (PSB 2016), in Hawaii. (PubMed, arXiv). The results are based on almost 7.000 user timelines associated with depression drugs which combined have 5+ million posts. Modularity in complex systems can be observed in networks and across dynamical states, time scales, and in response to different kinds of perturbations. In a paper published in Physical Review E (Rapid Communication), Kolchinsky, Gates & Rocha propose a principled alternative to detecting communities in static and dynamical networks. The method demonstrates that standard modularity measures on static networks can be seen as a special case of measuring the spread of perturbations in dynamical systems. Thus, the new method offers a powerful tool for exploring the modular organization of complex dynamical systems. T. Simas and L.M. 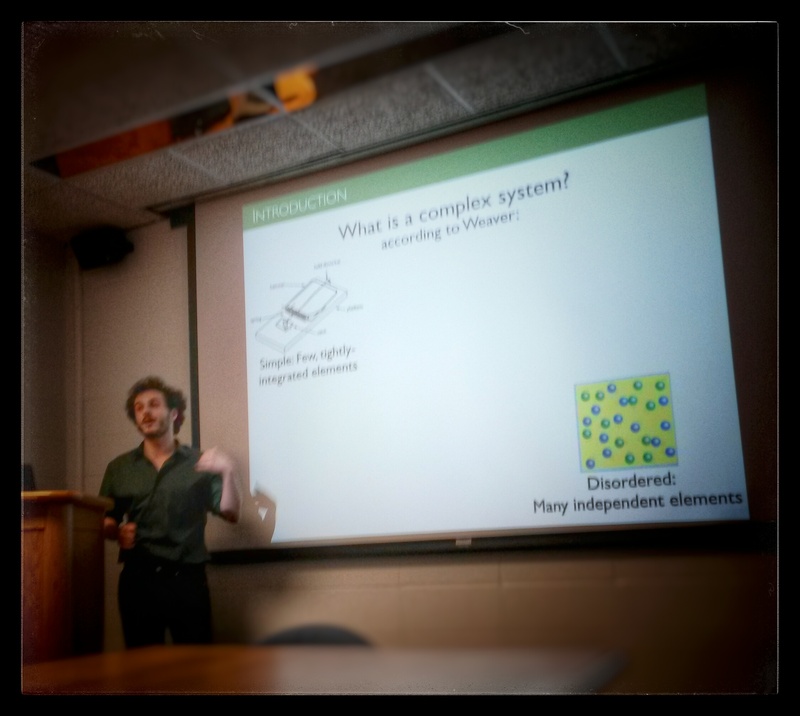 Rocha .”Distance Closures on Complex Networks”. Network Science, doi:10.1017/nws.2015.11. G.L. Ciampaglia, P. Shiralkar, L.M. Rocha, J. Bollen, F. Menczer, A. Flammini . 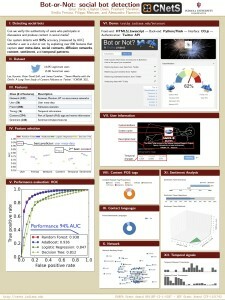 “Computational fact checking from knowledge networks.” PLoS One. In Press. arXiv:1501.03471. A. Kolchinsky, M. P. Van Den Heuvel, A. Griffa, P. Hagmann, L.M. Rocha, O. Sporns, J. Goni . “Multi-scale Integration and Predictability in Resting State Brain Activity”. 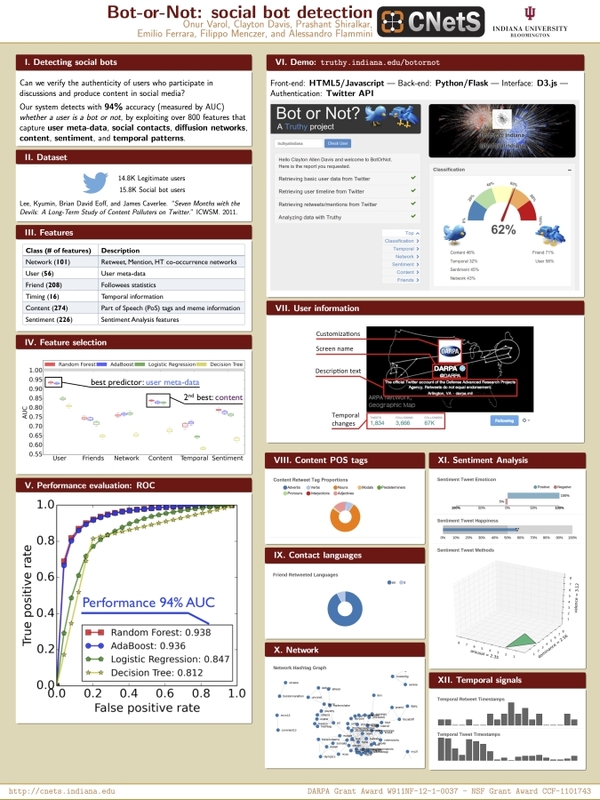 Frontiers in Neuroinformatics, 8:66. doi: 10.3389/fninf.2014.00066.